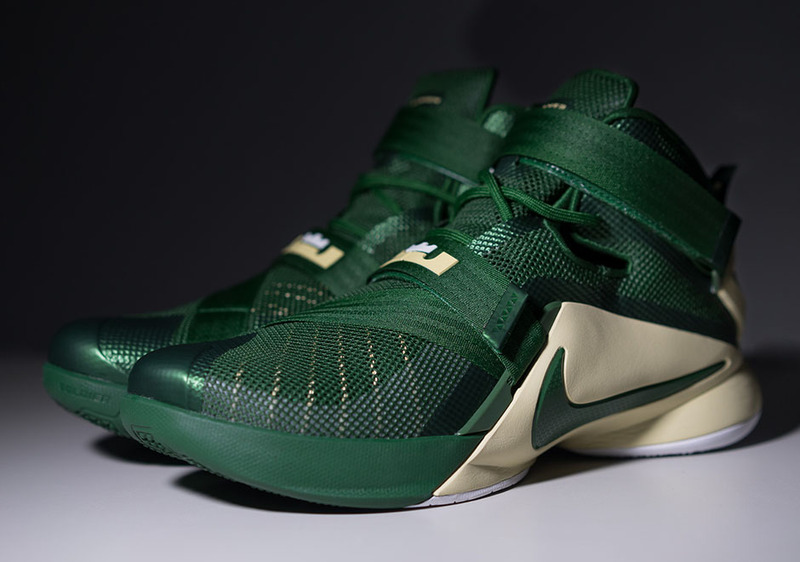 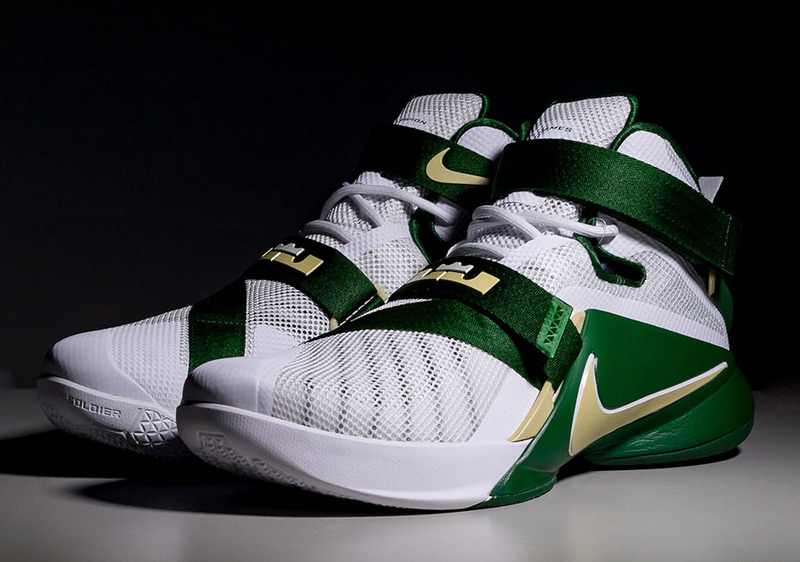 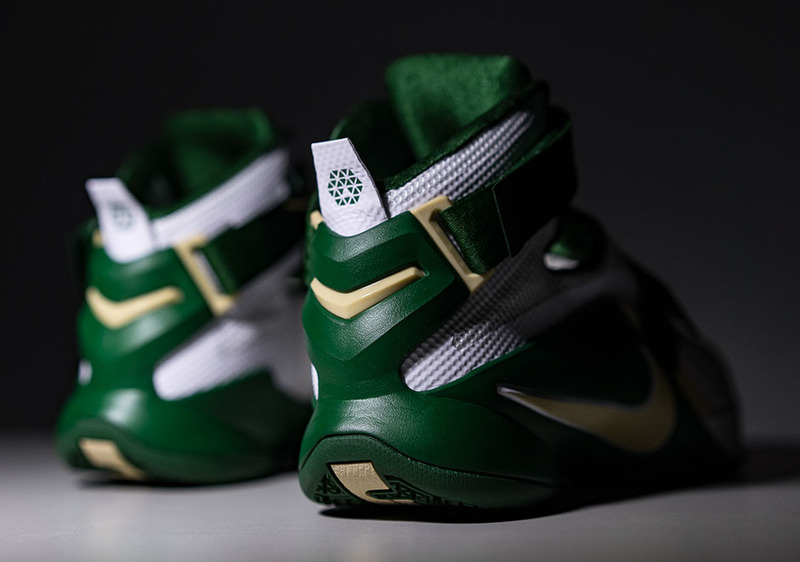 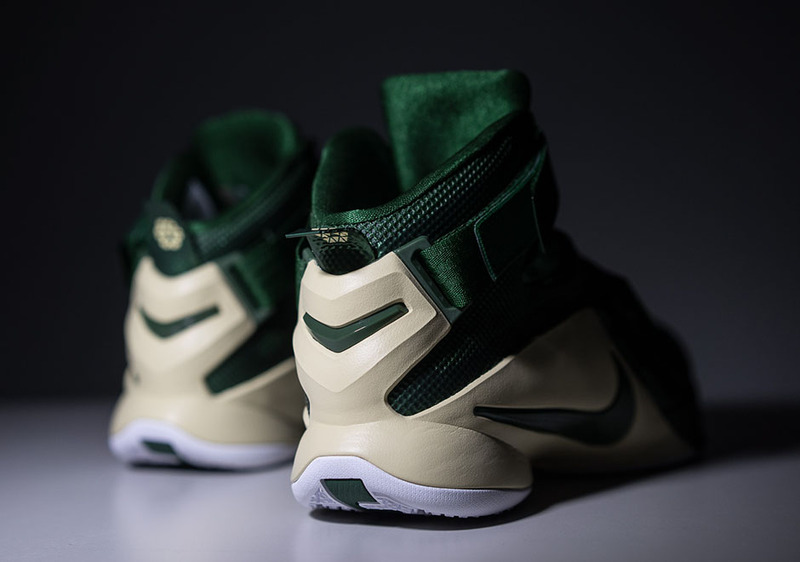 For the LeBron sneaker collectors out there, today we get a good look at the “SVSM” pack of the Soldier 9, presented in a duo of home and away colorways for The King’s former high school. 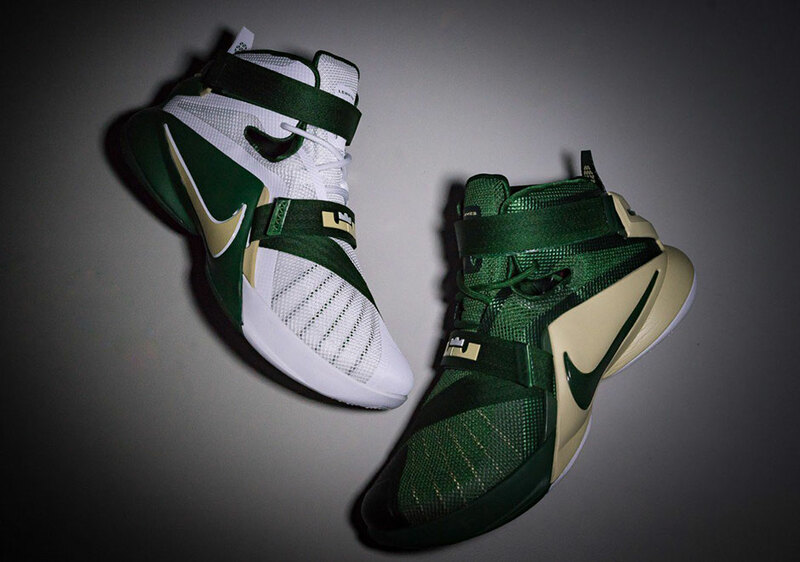 Originally thought to be an exclusive PE offering for the current St. Vincent-St. Mary’s squad, it looks like the special edition Soldier 9s may be hitting select Nike Basketball retailers in Asia right now, which means there’s some hope they’ll also drop here in the US. 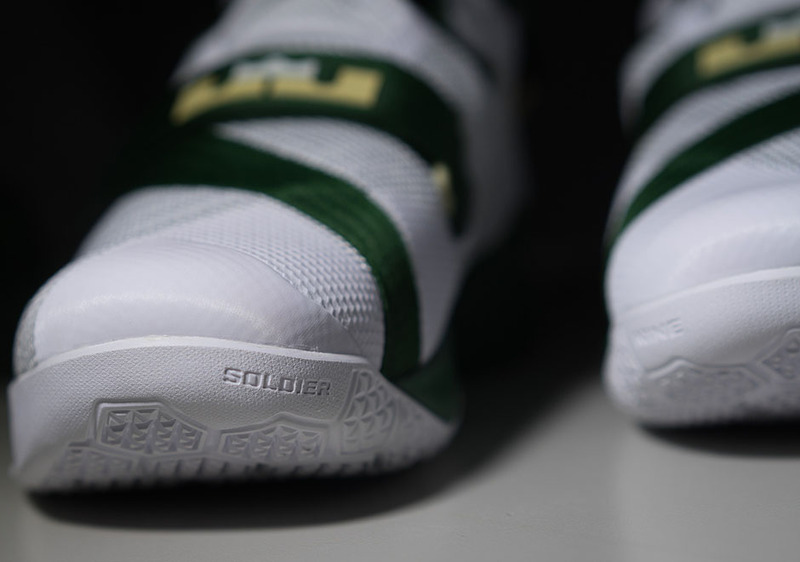 Take an up close look at each colorway here, and stay tuned for any further release details.